Thanks to Naomi Lacey, our contact in Timor Leste, the following information is available about two projects we will be helping with — Pitileti School in Pitileti (near Los Palos) and Escola Pre-secondaria Foho Ailico. Firstly, through my work colleague Jino Perreira, we got in touch with his friend Manuel who is a police officer in Los Palos (very close to Pitileti) and regularly commutes between there and Dili for study. Manuel has offered to act as a ‘go between’ between us and the community of Pitileti and will oversee the work as it progresses, also providing us with regular updates and photos of the work. He will also distribute the funds for each stage of the project. Wayne Poulter, who works for the Australian Federal Police here in Dili, is a good friend of mine who has become involved in this project. Wayne and I met with Jino and Manuel 3 weeks ago and came away with a start up plan in place which has begun with Manuel visiting the village and speaking with the Chief and Principal to ensure they are happy with what we re planning and that they could look at where they would want the buildings positioned as well as assessing the local resources for building. On arrival back in Dili yesterday Jino informed me that Manuel had been to Pitileti and that they are all very excited about our project and ready to welcome us with open arms. He has also passed on their thanks for the books etc they we sent up to them a few months ago – the children were apparently very excited to receive it all. They have allocated a site for building and he is looking into costs with local builders. However, there are many different grades of materials available and he doesn’t want to make that decision himself and would like us to go to Los Palos in the new year to select materials and speak with builders and the community. We are planning to try and get up there in either January or February if the roads are passable. The trip should give us exact costs so we can finalise the fundraising requirements. We want to keep as much funds in the immediate vicinity of the village as possible to maximise the economic benefit to the local community and Manuel informed us that we will be able to get all our building supplies from Los Palos which is great. Apparently there is also plenty of skilled labour available locally, again maximising the benefit to the community. Currently there is a government initiative to upgrade 150 schools per year in the districts and we have been advised by Rotary to find out if our school is on the list which is unfortunately proving to be a bit difficult. I’m sure we’ll get hold of the right person eventually! The idea with this is that if the school is on the list we can have it removed (because we are doing the upgrade) and another school will then replace it on the list. Further to this, standards have been set for the upgrades – things like including toilet facilities – and it has been suggested that we would be wise to follow these standards as well. When we find our man, so to speak , this will be discussed and we’ll see where it takes us. So. The plan as it stands is a visit to Pitileti and Los Palos to select building materials in the new year followed by finalizing costs and plans then a building effort beginning early to mid dry season (may- July). The building will be done in stages and the funds distributed for each stage as it progresses (as advised by Rotary). We would like to make the final stage of building one that involves those who have contributed to the project if they would like to come to Timor for an adventure and assist with the building. 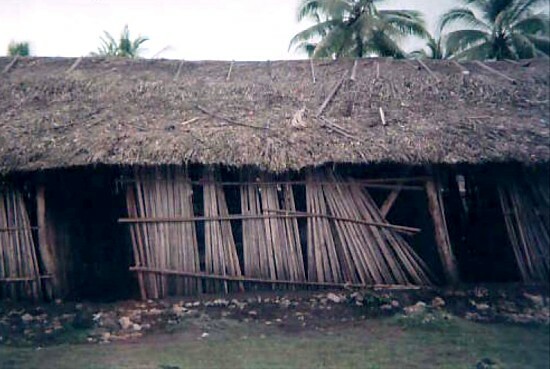 If anyone is interested in doing this could you please let us know – we will be planning the building stages around how many malae (foreigners ) would like to assist. This school came to my attention through Jino whose parents both teach at the school. They teach the secondary students in the district and actually structure their classes around the primary school classes as they don’t have classrooms of their own. 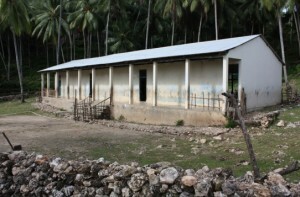 The Timor government at this stage only supports primary schools so secondary schools are supported by volunteer teachers an is taught in whatever space is available. The government is currently building two new rooms for the primary school next door which is fantastic but there will still be over 220 secondary students in the district with inadequate learning facilities. It will be fantastic to provide these teachers and students with a proper facility by which they can further their education, hopefully through to tertiary level. The Grub Club aims to fund and support education programs in both countries and they are keen to be involved in re-building and resourcing this school. Initially this will involve providing some resources for the basics pens, pencils, books whilst we develop a plan of attack for the rebuild. We are hoping to get a group of interested people who would like to help sponsor this building and resourcing project and perhaps even lend a hand. Information on both projects has been provided by Naomi Lacey, our contact in Timor Leste.